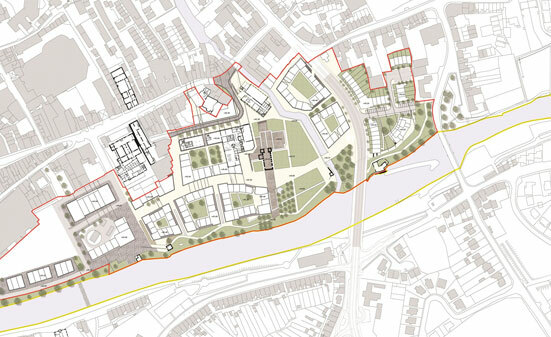 The vision for the Abbey Quarter is to create a vibrant new urban quarter in the heart of the medieval city. 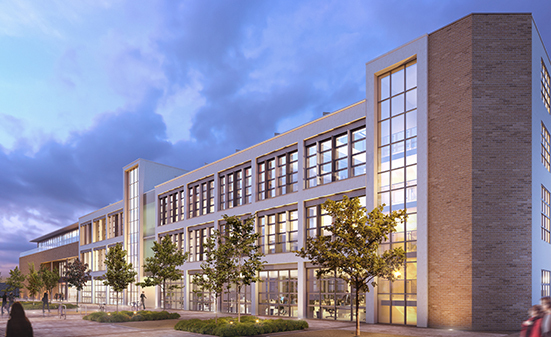 The new quarter will provide an exceptional business location for companies seeking outstanding global connectivity and the capacity to attract high calibre talent. It is located on the site of the former Smithwick’s Brewery on the banks of the River Nore. This site was originally settled in the 13th century by Franciscan monks who established St. Francis Abbey. The monks brewed ales here long before John Smithwick established his brewery in the early 1700s and it continued to operate as a brewery for 300 years until it was closed by its owner Diageo in 2013. The remains of the choir and bell tower of St. Francis Abbey still stand on the site today as a reminder of its rich history. In recent years the site was acquired by Kilkenny County Council and a detailed masterplan has been adopted to guide development of the brewery site and adjacent lands. The vision of the masterplan is to develop the Abbey Quarter as a seamless complement to the medieval city and an inclusive place for an inter-generational community to work, live and play. A new 3 acre public park will be laid out with the 800 year old Abbey as its centrepiece. Kilkenny Abbey Quarter Development Ltd.